Award-winning soprano Elizabeth Slade studied music at the Universities of Sheffield, Huddersfield and Birkbeck and made her operatic debut in 2000 as Fiordiligi (Cosi fan Tutte). She has since gone on to perform many of opera’s most popular soprano roles including Queen of the Night (Zauberflöte), Anna Glawari (The Merry Widow), Micaëla (Carmen), Mabel (Pirates of Penzance) and Marjanah (Chu Chin Chow, Asche/Brayton). Other roles comprise Second Woman (Dido and Aenea), Papagena/2nd Spirit (Zauberflöte) and, in opera scenes, Susanna (Le nozze di Figaro), Donna Elivira (Don Giovanni), Sandman (Hänsel und Gretel), and Poppea (L’incoronazione di Poppea). Elizabeth has sung much of the sacred choral repertoire as soloist for choral societies from Scotland to southern England, including Schubert Mass in G, Handel Messiah, Mozart Vespers and Mass in C minor, Vivaldi Gloria, Bach Magnificat, Rossini Petite Messe Solennelle and Duruflé Requiem and she was for a year a professional chorister at All Saint’s, Margaret Street, London. 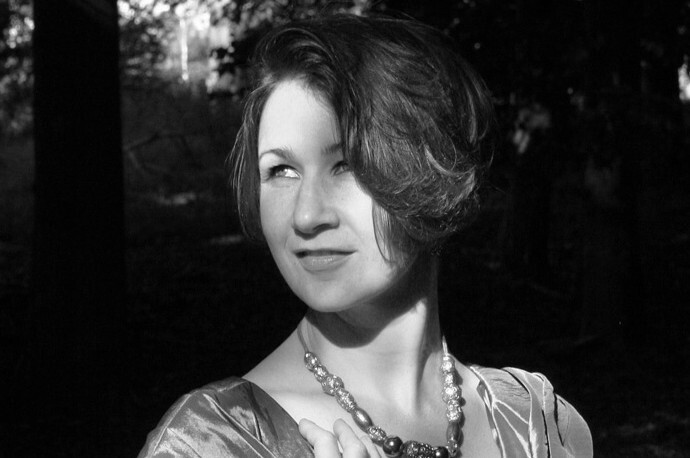 In addition to her solo engagements, Elizabeth works in concert and recital with Quartano, a unique pairing of soprano and string quartet of which she was a founding member. Highlights of the past two seasons encompass several recitals with Quartano at corporate and private events and in recital across the country covering repertoire from Mozart to Gershwin. Quartano released their first self-titled CD in 2011. Elizabeth has also appeared internationally with EnChant, a soprano duet. She has sung for the Queen and has also appeared on TV’s Inspector Wexford Mysteries as an oboe-playing monk! Born in Welwyn Garden City, Elizabeth grew up by the coast in Dorset and developed a passion for the natural world which continues to feed her music-making.